In our booth at IRE Nashville this year, we showcased our usual innovative selection of clamps and brackets. 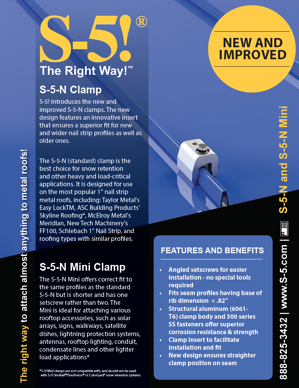 But we also featured a new product: the new and improved S-5-N clamp is an innovative attachment solution that cures your nail strip profile seating issues. The clamp features an insert to facilitate installation and fit. it also fits seam profiles having a base of rib dimension < .82". 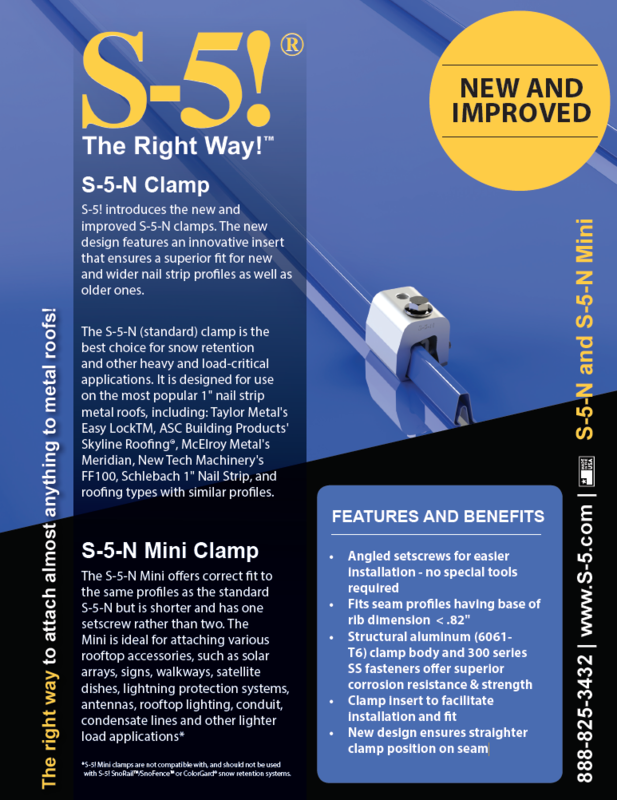 SENTENCE: // The new and improved design of the S-5-N now fits seam profiles that have a < .82 base of rib dimension. 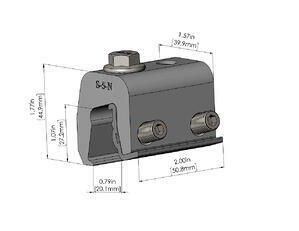 Fits seam profiles having base of rib dimension < .82"
Non-Penetrating Rooftop Mounting: S-5! clamps attach to panel seams by tightening “bullet-nosed” stainless steel setscrews against the seam material. This is the S-5! Difference! Our engineered clamps utilize setscrews that compress the seam material against the opposite wall of the clamp and “dimple” the seam material but do not penetrate it. Once mounted, attach various ancillary items through the threaded holes in the clamp. Penetrating Rooftop Mounting: It is okay to pierce a roof when you need an attachment solution for exposed fastener metal roofs. But it is imperative that you install The Right Way™. This means proper weather-proofing and attention paid to potential metallurgical compatibility and ensuring the clamp chosen has been properly load-tested for the desired application. Which Should You Choose? Metal or Asphalt Shingles?